GRATZ man! been seeing your attempts on discord glad to hear you finally got it! well done this is an amazing achievement! congrats i'm sure the grind was rough!!! Soooooooo you're doing mine next, right? Well done, you deserve it man! This is one of the hardest but probably most satisfying moments happy for you man! Nice man! How long did it take you to learn? Congrats, welcome to the burnt pizza cape club! Around a week and probably 20-30 tries total. Personally the hardest part for me was wave management/flicking multiple styles. 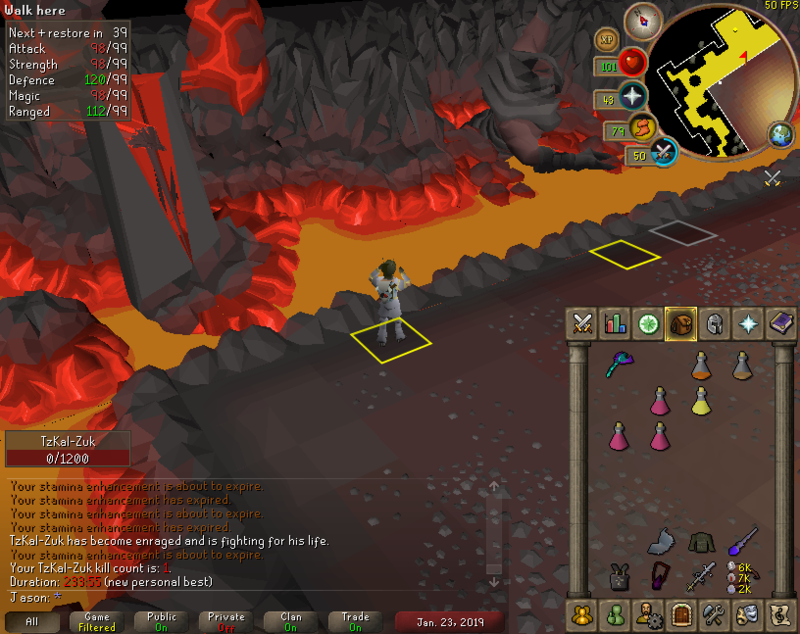 Zuk took 4 tries and a little rng in my favor (the ranger spawn killed itself on my suffering recoil lol). I didn't have much trouble with triple jads and thought it was pretty straightforward but other people might be intimidated by it. Congratulations man! Absolutely sick achievement.